Founded by interior designer Cherry Gittins and shoe designer daughter Sophie, Edition de Luxe debuts a range of silk scarves combining eye-catching colours with stunning hand-marbled prints. Each design originates from the age-old technique of floating coloured inks and paints onto water or size. 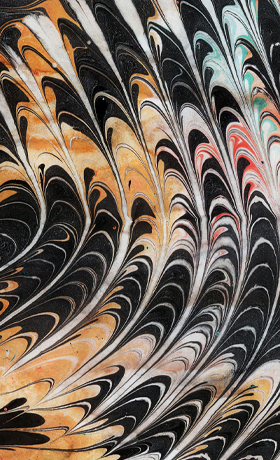 Gentle manipulation of the water’s surface creates unique patterns which are carefully captured onto paper. Tradition then meets technology with designs being uploaded digitally and printed onto luxurious silks. The scarves are then hemmed or fringed by hand to ensure the utmost quality. Edition de Luxe creates timeless, covetable products with lashings of individuality, artistry and elegance. Creating unique designs in stand-out prints, Edition de Luxe delivers a traditional practice to contemporary fashion which will transform your look.